With the aim of promoting the digitalization of its member clubs and bringing them closer to the fans, LaLiga has created a personalized official application for a number of LaLiga Santander and LaLiga 1|2|3 teams. 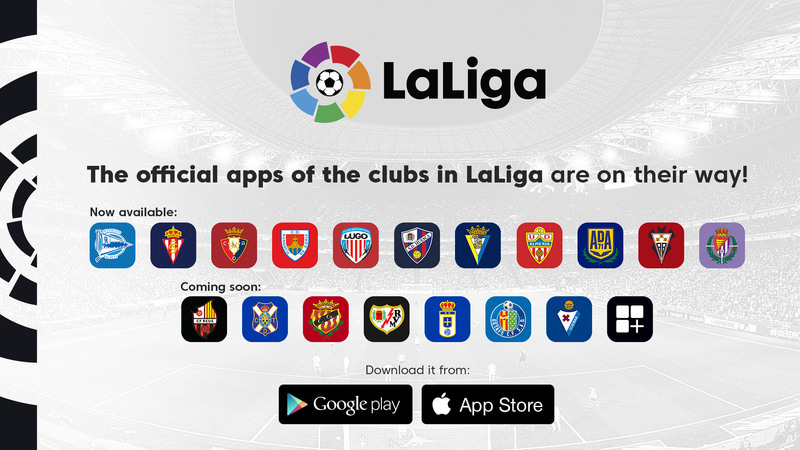 This project was open to all clubs, of which six teams from LaLiga Santander and 12 from LaLiga 1|2|3 decided to participate, although more clubs are expected to join soon. All the apps will be available for both Android and iOS and will be rolled out in the next few days. Multimedia content: watch the videos for your favorite football team. Enjoy all the goals and the highlights from matches in the 2018/2019 season and past seasons with the best multimedia content, totally personalized for each fan. Push notifications: don’t miss a single detail thanks to fully customizable push notifications. Receive live alerts on all the content that interests you. Previous articlePhotos: The Erica Rae Hosseini Story.